Fashion is often overlooked is probably the footwear. Someone often incorrectly determine the appropriate footwear to be worn in the style of their fashion. In this article, we will discuss about one unique shoes that Pump Shoes. You’ve heard Pump Shoes ? If never heard, we will explain it to you. This type of shoe is very classic. Known pump shoes because it is short of the Pumpkin shoes. Yup, because the front of the shoe is indeed round, like the shape of a pumpkin. This shoe is also known as ballet shoes. The shape is simple and with rather high heels. 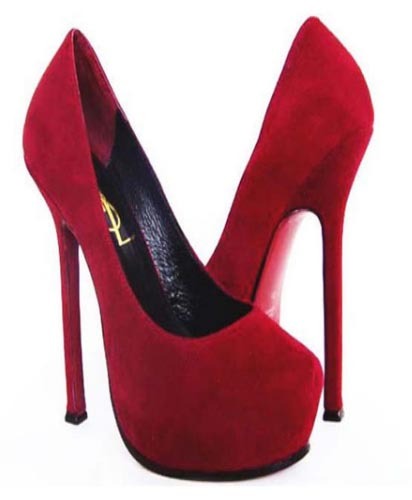 Pump shoes suitable for formal occasions or casual, depending on the type of material or decorations. The official usually satin or velvet and decorated with ribbons, stones, or crystals. Casual is usually made ​​of plastic or plain cloth, and a little decoration.